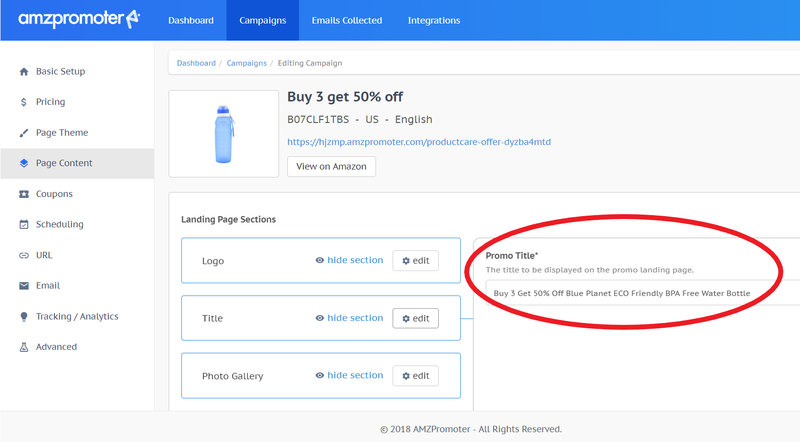 Simple percentage off isn't the only type of promotion you can create on Amazon and if you want to experiment, Amzpromoter allows you to do so. To create tiered discounts, go to Percentage Off promotion. In the Step 1: Conditions, set the criteria users need to carry out in order to obtain the discount. You can also go advanced, where you can create multiple tiers, e.g, Buy 2 Get 15%, Buy 3 Get 30%, Buy 5 Get 50%, etc. Go to Advertising -> Create a Promotion and choose Buy One Get One. Next up you set the conditions buyer must meet. We've covered the steps that are most important in creating these types of promotions. If you want a complete step-by-step, check out this article. When you complete the setup in Seller Central, you need to create a campaign in AMZPromoter too. Creating these promotion types is very similar to a normal campaign so we will just go through everything that is different. Check out this article in the Help Center for the full walkthrough. The first difference is the pricing. Here you will have to do some math (sorry😀). You have to know what discount did you create in Seller Central and the price of your product. For example, our product sells for $11.98 and the discount is Buy 3 Get 50%. In the normal selling price field we apply $11.98 times three, which amounts to $35.94. For the promo price, we divide 35.94 by two. So the formula for Regular Price is: Buyer purchases condition x Product price, and for the Promo Price: Result of the first formula ÷ Discount you selected. The only thing you that's left to do is to write the promo title in a way your customer will understand. After that, complete the setup just like you would with a normal promotion and you are done! Here is how a tiered promotion looks like in action. In Pricing, fill the Regular Price field with the normal price of your product times two and fill the Promo Price with the normal price of your product. Customize the Promo Title so it conveys the right message. And that's all folks! 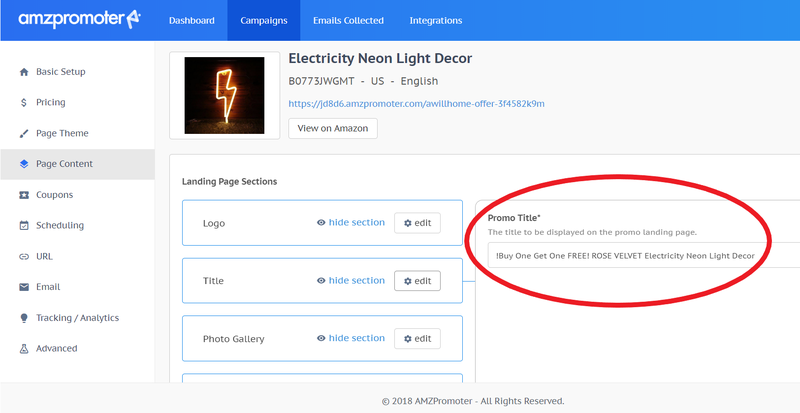 Here is how a BOGO promotion looks like in AMZPromoter.